This is the complete Bomba movie series. It comes on 12 discs, one movie per disc. Comes in hardcase w/artwork. 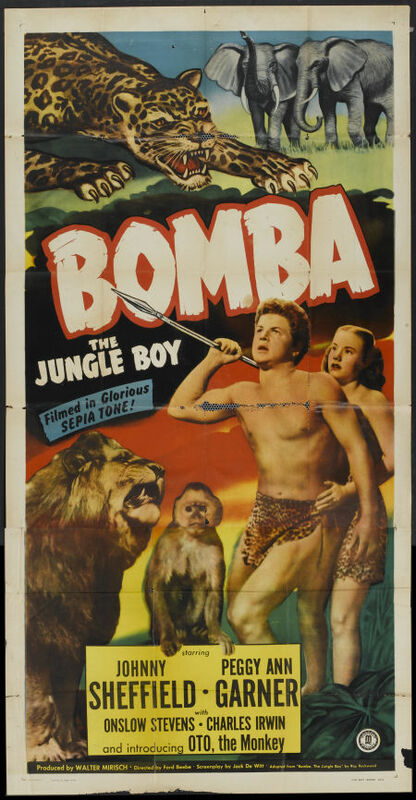 Bomba, the Jungle Boy was a series of American boy's adventure books produced by the Stratemeyer Syndicate under the pseudonym Roy Rockwood and published by Cupples and Leon in the first half of the 20th century in imitation of the successful Tarzan series. There were 20 books in the series. The first 10 were set in South America, where Bomba, who grew up in the jungle, tries to discover his origin. The second set of 10 books shift the scene to Africa, where a slightly older Bomba has jungle adventures. In 1949 Monogram Pictures brought the character to the motion-picture screen, in the person of Johnny Sheffield. Sheffield was already established as an outdoor star; he had portrayed the character Boy in the Tarzan movies with Johnny Weissmuller.